Get ready for some white knuckled, high adrenaline racing with Hess Racer! Get ready for some white knuckled, high adrenaline racing with Hess Racer! Only Hess can bring you the ultimate driving experience imaginable. You get to choose between the rugged Hess Truck or the ultra-fast Hess Race Car. Speed down the busy City Highway level, dash through the hulking and beautiful Mountain level, or sprint through the amazingly expansive Interstate level. You’ll have to harness your cat-like reflexes and dodge traffic to get the highest score in the world. Use your Hess experience points to collect limited edition Hess trading cards or upgrade your vehicle and nitro down the pavement even faster. Plus, you can challenge your friends and trade collectibles for even more fun! Hang on tight, because this thrill ride will leave you thirsty for more! • Random traffic patterns and dynamically generated roads create a new game experience every play. 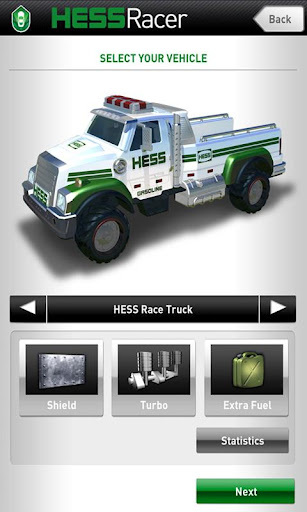 • Earn Hess bonus coins to collect limited edition HESS trading cards featuring previous toy truck models. 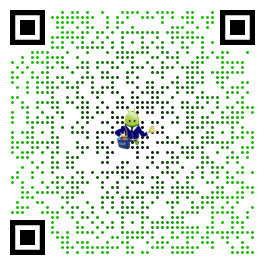 • Trade HESS cards with your friends on Facebook! • Play between two views: Bird’s eye, or ultra-fast behind the vehicle. • Drive by a HESS gas station and grab fuel to keep going even longer and snag 1,500 extra bonus points. • Bring out your inner daredevil and play in boost mode full-time tom multiply your score. • Navigate through heavy traffic to earn 5,000 bonus points! • The latest technology in the Unity engine create lush, full 3D worlds to race in. Seems like it would be a good game, but I have to have the tablet tilted 45deg. to the left to get the truck to go straight. Don’t have this problem with any other apps that use the accelerometer. Graphics are good, gameplay is smooth….there’s just a lot missing. Wouldn’t you think that a game where you’re driving a huge truck at breakneck speeds, that the goal would be to destroy cars, not dodge them!? It needs some good carnage in it! Definitely has a learning curve to it, but I would not say that it is as bad as some comments make it out to seem. Only reason it looses a star is the lack of pause and a way to exit. The only way to leave the game, even from menu, is to hit home on phone. The Hess Racer game works great on the Galaxy Tablet 10.1 & is awsome to play. Always loved the Hess Truck toys. Super fun, not much of a “gamer” but this is easy yet challenging so keeps me engaged. Graphics and dev are good too!